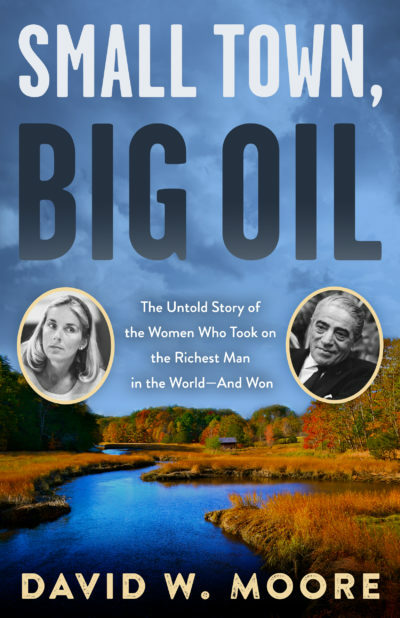 In the fall of 1973, the Greek oil shipping magnate Aristotle Onassis, husband of President John F. Kennedy’s widow, Jacqueline Kennedy Onassis, and arguably the richest man in the world, proposed to build an oil refinery on the narrow New Hampshire coast, in the town of Durham. At the time, it would have cost $600 million to build and was expected to generate 400,000 barrels of oil per day, making it the largest oil refinery in the world. The project was vigorously supported by the governor, Meldrim Thomson, and by William Loeb, the notorious publisher of the only statewide newspaper, the Manchester Union Leader. But three women vehemently opposed the project—Nancy Sandberg, the town leader who founded and headed Save Our Shores; Dudley Dudley, the freshman state rep who took the fight to the state legislature; and Phyllis Bennett, the publisher of the local newspaper that alerted the public to Onassis’ secret acquisition of the land. Small Town, Big Oil is the story of how the residents of Durham, led by these three women, out-organized, out-witted, and out-maneuvered the governor, the media, and the Onassis cartel to hand the powerful Greek billionaire the most humiliating defeat of his business career, and spare the New Hampshire seacoast from becoming an industrial wasteland.